A great way to find your soulmate or a great way to procrastinate doing your 400 pages of readings for fifteen minutes? If you’re a freshman, the concept of Datamatch may not have been thoroughly explained to you. Actually, the concept of speaking to other people may also not have been thoroughly explained to you either. Luckily, we have multiple years of crippling loneliness and Valentine’s Day solitude under our belts and are passing our knowledge unto you. Datamatch is a college-wide distributed survey created by the Harvard Computer Society. Yes—the mechanism through which students find dates at this school is dependent on the Computer Society. Interpret that as you will. After answering a bunch of multiple choice questions regarding your life on Harvard, interests, blood type, Social Security number, etc., you send in your answers and wait eagerly by candlelight as an algorithm determines which human you’ll put on a decent outfit to go on a date with. On Valentine’s Day, you’ll receive one or two matches, with the option to get a meal paid for by HCS with said match. The catch is that both your match and you must indicate that you’re down to get a meal together. Unrequited acceptances don’t work. It’s kind of like the ‘Hang the DJ’ episode of Black Mirror, except that Datamatch won’t mentally scar you. If both of you decide to engage in human interaction for the first time in your life, you’ll go on a (potentially) cute date and elope within the next few days. If your desire to go out with your match is not reciprocated by them, I would recommend listening to ‘Drew Barrymore’ by SZA on loop to assist you in the weeklong crying session you’re going to embark on. I would also recommend using the Kleenex with Lotion tissues, as your nose will get less irritated as you cry more. I’m not saying this from personal experience. Okay, yes, I am. Why did you ignore me, Amanda…. Datamatch is not a valid reason to tell your blocking group that you’re entering the dating market at Harvard. It does not justify spending $400 on a new wardrobe to get glammed out to go to Zinneken’s. It definitely is not the way to secure a lifelong commitment with that guy from your government section that you’re too anxious to say hi to. It’s not a serious, “business formal” approach to making connections at Harvard, which is a great thing. Mostly, it is not a way to tell your friends from home that you’re dating a gal from Harvard. If someone gave me the option to eat at Flour for free, I’d gladly take the opportunity to go, even if it was with a literal rabid hyena. 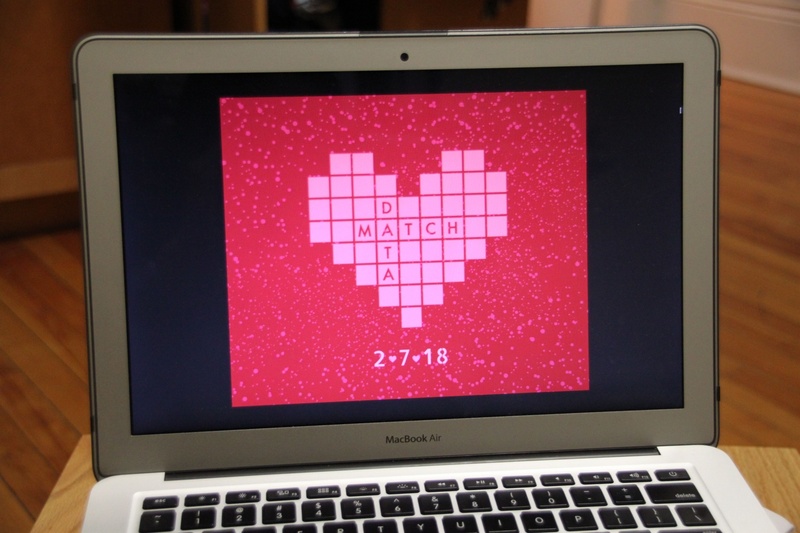 Datamatch is a great tradition at Harvard, and you should definitely give it a shot. Who knows—maybe you’ll actually enjoy your time with your match, and you two can remain friends...or fiancés. You may have to take a step out of your comfort zone, but that’s what college is all about. Heck, this is your chance to go to Clover and not feel bad for spending a rack on rosemary fries. So, get out there and have fun. Or don’t. Crying on Valentine’s Day is always an option too.